In New Jersey home improvement contractors are heavily regulated by the Consumer Fraud Act (the “CFA”). The CFA and administrative regulations require strict compliance which cannot be ignored. Failure to follow these requirements can result in the home improvement contract to be found invalid and a homeowner’s a ascertainable lose can result in the home improvement contractor paying triple that amount and attorneys fees to the home owner. However, recently the New Jersey Appellate Division held that a home improvement contractor can recover the value of the services rendered even if the contract violated the CFA. In Gemini a dispute arose between a homeowner and his contractor with regards to home improvement renovations. The homeowner hired a contractor and an architect, who was his friend, to perform renovations on the home. The architect was the intermediary between the homeowner and the contractor. The architect made all the decisions for the homeowner and worked directly with the home improvement contractor. The contractor initially began the work for the homeowner pursuant to a written contract. After the work began, however, the homeowner sought various changes which the contractor orally agreed to perform and, subsequently, would forward his bills to the architect. A subsequent contract for the additional work was never prepared. After the work was completed, the homeowner refused to pay the contractor because he believed the amount invoiced was excessive. Suit was therefore filed in New Jersey’s the Superior Court. The Superior Court dismissed the contractor’s breach of contract claim because it found that the oral agreement violated the CFA. The Superior Court did, however, allow the contractor to proceed on the equitable theory of quantum meruit. Quantum meruit allows a litigant recovery on the theory that an injured party should be entitled to the value of the services rendered. 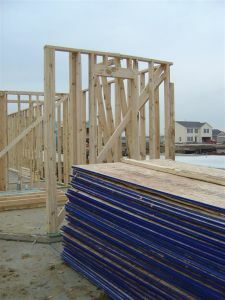 The homeowner appealed to the Appellate Division arguing that violations by the contractors of the CFA should bar recovery. The Appellate Division, however, found that a homeowner can be equitably barred from asserting a CFA violation defense when it would be unjust to do so. The Appellate Division then held that because the homeowner was represented by an architect, essentially an expert intermediary, he was not a vulnerable consumer who needed CFA protection. The Appellate Division also found that the contractor had disclosed his rates and the homeowner and architect were both aware of them and approved. Therefore, the Appellate Division found that the home improvement contractor was entitled to get paid despite the technical violation of New Jersey’s Consumer Fraud Act. Our New Jersey business attorneys have significant experience representing homeowners and home improvement contractors. To learn more about what we can do to help, e-mail us or call one of our lawyers at (973)890-0004.